What are all the roles you play in life beyond “patient”? When we kicked off the #MoreThan campaign – asking our members about all the ways they’re more than their diagnoses – we didn’t know just how many stories we’d hear. This new graphic captures what the PatientsLikeMe community has shared so far – about their relationships, professions, passions and more. Feeling inspired? 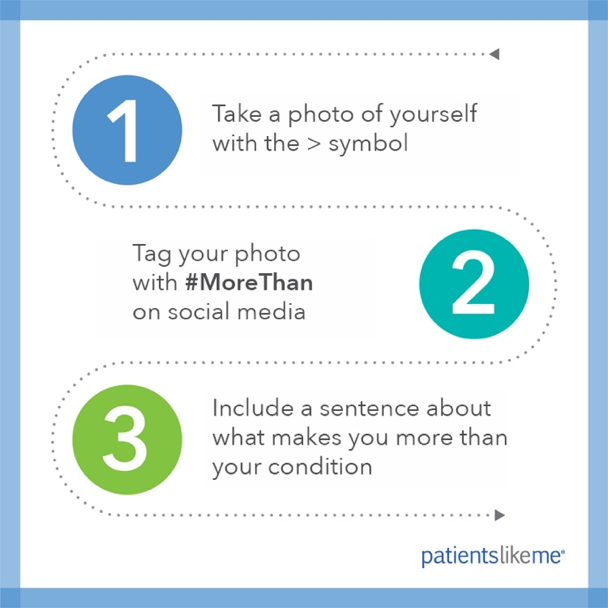 See how you can spread the #MoreThan message to help knock down stigma and raise awareness of your condition(s). (Because there’s power in patients, together.) Not a social (media) butterfly? Join the community and share in the forum! Inspired by our new #MoreThan video series, patients have been speaking up about what makes them more than their diagnoses. 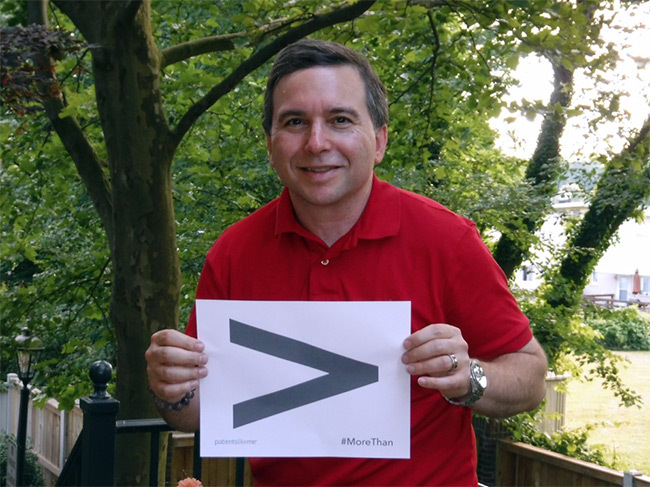 Below, Karl Robb — blogger, author and advocate — shares his #MoreThan story about living with Parkinson’s disease. My name is Karl Robb. I have been blogging about Parkinson’s disease for over 10 years on my site, www.ASoftVoice.com. I was diagnosed with Parkinson’s when I was 23 years old, but I showed symptoms as early as age 17. On a rare occasion, I would encounter a resting tremor, often triggered due to stress or fatigue (after a tennis match). It took me at least nine doctors and six years for me to receive the diagnosis and to begin the medical treatment to improve and to deal with the revelation of my condition. The progression of my symptoms have been slow and gradual. I am currently 50 years old. Most of my 50 years have been spent learning that I had Parkinson’s disease (PD), how to deal with it, learn from it and to try to keep it from advancing as best as I possibly can. Parkinson’s disease may have slowed me a little, but I continue to write, work on photography and drawing, practice and teach Reiki as a Reiki master, perform magic for friends, travel with my wife and dog and meet with support groups across the country about living well with Parkinson’s disease. Since my diagnosis, I have been an active advocate for Parkinson’s issues and causes. I have blogged, lectured, written two books and worked with the former Parkinson’s Action Network (PAN) both as a State Director and a member on the board for six years. I am proud to be a current board member of the Parkinson Voice Project in Richardson, Texas. My greatest victory, above all else, has been living, learning, loving my life, and exploring the world with my best friend, soul mate, wife, co-author, and care partner, Angela Robb. For the past twenty plus years, she has made this journey enjoyable, quirky, hilarious and so worthwhile. Her selfless commitment to me and the PD community deserves recognition as she worked so diligently under the radar. Parkinson’s has led me down a path that I would have never expected or chosen for myself. I am thankful that I discovered the practice of Reiki. It has brought me balance, clarity, and peace. Following several years of practicing and learning Reiki, both Angela and I became Reiki masters. As much as Parkinson’s disease has taken from me and altered my life, it has offered me opportunities that I had never considered. Parkinson’s has made my life more challenging in numerous ways but it has also made me more compassionate, sensitive, and aware. I am grateful for the opportunity to share my thoughts and insights with the world and treasure helping others. I am more than Parkinson’s because my illness may be a part of me, but it doesn’t define who I am. I am more than Parkinson’s. I am an optimist, a Reiki master, a teacher, and an eternal student. Karl Robb is the author of two books about Parkinson’s: A Soft Voice in a Noisy World – A Guide to Dealing and Healing with Parkinson’s Disease and Dealing and Healing with Parkinson’s Disease and Other Health Conditions: A Workbook for Body, Mind & Spirit.